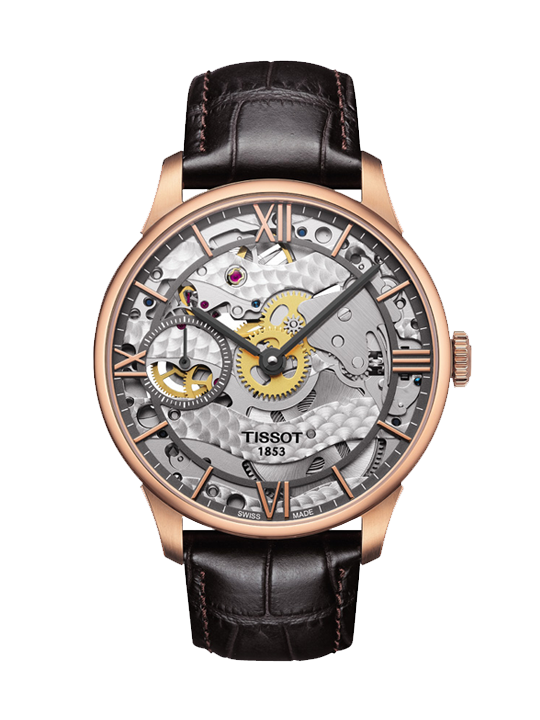 The Tissot Chemin des Tourelles Skeleton takes its name from the place in which it was created. Chemin des Tourelles is the street on which the Tissot factory was built in 1907 and where the company still remains today. This watch takes pride in its origins and reflects more than 160 years of expertise. The art of watchmaking is clearly visible through its dial thanks to its skeletonized movement.